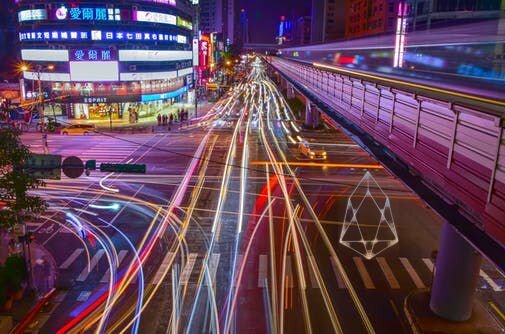 As decentralization begins to go mainstream, the crypto-community has to decide which blockchain technologies it will back and why; this article is an argument for the EOS blockchain and Delegated Proof of Stake. When Dan Larimer (creator of the Bitshares, Steem, and the EOS blockchains) announced at the Inside Bitcoin Conference in Vegas in 2014 that mining was now obsolete, he did not endear himself to many that were in the crowd. This is because many of the people in attendance had made their fortunes mining cryptocurrency using the Proof of Work (POW) model. Unbeknownst to Larimer, that announcement sowed the seeds of a silent war; a war between those that wanted to ensure that the POW system continue to thrive, and those that wanted move on from an antiquated system to a superior one. The writing was on the wall, so to speak, and the community would have to choose - would they go with POW or DPOS? The choice the crypto-community made then was one driven by fear and greed, but with the impending release of EOS the community has another chance, and this time their choice will shape the world’s view on blockchain technology forever. If the crypto-community are to collectively make a choice, they have to understand what choice they are being asked to make. There are currently three important models in the industry that need to be considered: Proof-of-Work, Proof-of-Stake, and Delegated Proof-of-Stake (other systems will not be discussed in this article). Bitcoin, Ethereum, and almost all cryptocurrencies out on the market today use the proof-of-work model. POW requires computers to “mine” cryptocurrency by solving complex mathematical problems aka decryption. For every problem these mining computers solve, they are rewarded with some cryptocurrency. Therefore, the cryptocurrency is the proof of their “work”. At the time this process was created, it was assumed that the computer power it takes to mine the coins would make it almost impossible to corrupt information on the blockchain due to the cost of the electricity the computers were using. This was an ingenious solution to possible attacks on the system, but as blockchain technology advanced, it became clear that the POW model was unsustainable and insufficient for the needs of the world at large. As an alternative to POW, Proof-of-Stake was conceptualized by Sunny King and Scott Nadal in 2012. They had several goals centered around making mining more “green” and “fair”. Miners would be randomly chosen by the system, no energy would be wasted by having computers solved complicated math problems, and instead of mining, users could invest directly into the coins; they would not have to set-up and maintain expensive mining rigs. Just like in POW, it would be unreasonable for a user to commit a fraud attack on a proof-of-stake system, unless they would be able to steal more money than they would lose by forfeiting the sum of their deposits (which is unlikely). Delegated Proof-of-Stake (DPOS), a method invented by Dan Larimer, resolves many of the problems seen in POW and POS systems. In a Delegated Proof-of-Stake system, a technological democracy is created by a community of block producers and staked users that agree to a certain set of rules. Delegated Proof-of-Stake and Proof-of-Stake are two different animals; in a POS system, every wallet that contains coins is able to participate in process of validating transactions and forming consensus, thus the more coins in your wallet, the more coins you will eventually receive. With DPOS system every wallet that contains coins is able to vote for representatives. These representatives validate transactions and form consensus, and are paid for their efforts through the system. This avoids a pitfall of POS, which is that, just like in POW, consolidation will eventually occur. Now that we have those simple definitions out of the way, let’s turn our attention back to Larimer, and DPOS. Larimer knew what was coming; he knew that if blockchain based technologies were going to have a fighting chance in the real world POW was not the answer. He had the foresight to see that as cryptocurrency grew in popularity, more people with large sums of money would want to get into the game. As more people with more money entered the arena, they would push out smaller, less technologically advanced miners, and this would eventually lead to consolidation. Consolidation is a no - no in the world of decentralization, and is especially repugnant to Larimer’s sensibilities. He knew he had to take action. While there were other options out there (POI, POS), they also had their problems, and both were prone to centralization. In 2014, Larimer published a paper on delegated-proof-of-stake; what he was proposing was radical - a blockchain based representative government. Based on what we know of Larimer, we can assume that money is not his primary motivator; if it were, he could have made systems solely created to enrich himself, his family, and his friends. His disgust with centralization is due to the fact that centralization is a waste of resources; if a few hold all the coins, than the many will suffer. The promise of decentralization was that power would be more evenly distributed, and even small players could have a voice. However, the large amounts of money that started entering the blockchains sphere had attracted bad actors, and with the POW system, there was really nothing anyone could do about it. But Larimer saw the problem and he had a solution. While Larimer was philosophically driven, he was also practical. He knew people would not switch over to a DPOS system unless there were obvious benefits to using the DPOS system. POW had been used for a few years now, and there were obvious downsides; not only was it prone to centralization, but its technology was severely lacking. Due to the way POW is set-up, POW systems are often very SLOW, and the fees associated with such transactions are at worst prohibitive, and at best a very expensive nuisance. Because of these limitations, Larimer knew that POW would never catch on globally; blockchain would only be appealing to a niche group of (wealthy) people. But with so much money and power behind the POW system, Larimer knew the only way he could prove the superiority of DPOS was to build, so he built his first DPOS blockchain, Bitshares. Bitshares was the first system to use DPOS, and the technological advantages were apparent right off the bat. Bitshares was far and away the fastest blockchain on the block, and was such a technological success that Larimer declared that mining, with all of its faults, was no longer needed. 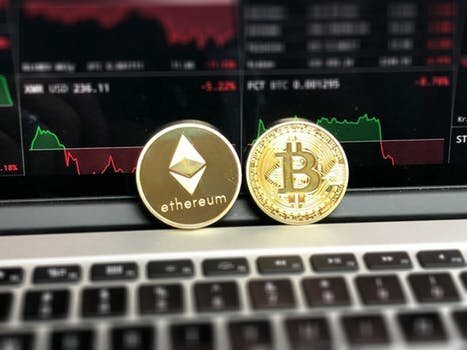 Unfortunately that declaration caused panic among those that had significantly invested into the POW system; those with power never give up easily, and the industry rallied around a new up-and-coming blockchain called Ethereum (Ethereum uses POW). This industry wide snubbing of Bitshares was unfortunate, but not unexpected; radical change does not come easy. Fortunately, the system Larimer had created could not be ignored; as the system matured it was clear that DPOS was leaving POW in the dust. The proof is in the numbers. As of today, Steem, Golos (a fork of Steem), and Bitshares process over half of all the industries transactions. Steem and Bitshares hold records for processing over a million of transactions a day, all without slowing down or using up large amounts of bandwidth. Meanwhile, Ethereum has hit a glass ceiling, struggling to support the meager amount of Dapps currently created in its environment, and Bitcoin can’t even see beyond the first floor. Blockchain developers that are smart have seen were POW will leave them, and have started to pivot to POS and DPOS systems. So, this brings us to EOS. Just like Larimer’s previous projects, EOS will utilize a DPOS system. Using the knowledge he has accrued from the past, he plans to make EOS the most advanced DPOS system in the world. EOS will have no transaction fees, waste no resources (energy, currency, and otherwise), and will be built around an online, representative democracy. EOS, as an open source software, will be spread far and wide. It could be the genesis of a new future, and, for many, a new way of life. It is up to us, the early adopters of blockchain technology to decide what message to send to the rest of the world. Do we want to back outdated, inferior technologies just because we fear change? Do we want to exploit people just learning about blockchain so that we can make money at their expense? Or do we want to seize the opportunity that is before us, and throw our time and money into a system that enriches the most, hurts the least, and empowers the many? Make no mistake, the choices we make now will shape the future and how blockchains are perceived; the revolution will live or die by where we decide to stake our resources today. So please consider backing a DPOS blockchain, and more specifically EOS. Let’s show the world who we are, what we stand for, and what EOS can be - ground zero for a worldwide, crypto-led movement. Katie Roman is an amateur paddle boarder and Dan Larimer fan girl. She lives in Central Oregon with her husband, son, and their rabbit Chestnut.